Made with wool felt and embroidery floss ~ very easy projects. 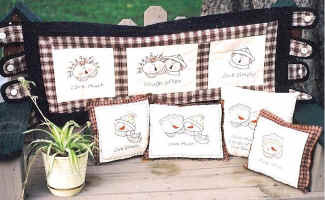 Pattern includes table runner, wall hanging and pillows. 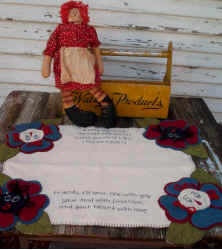 Pattern includes table runner, coaster, candle mug & Raggedy Ann doll.